Most people think Quora is a simple Question and Answer forum. However, the website is so much more than that. While it’s true that people can ask about anything under the sun, a lot of the answers are enlightening and useful. What’s more, if used correctly, Quora can be a veritable goldmine of website traffic. Quora is not your typical Q&A platform. Aside from asking questions or providing answers, users can also vote which answers are helpful. Quora also boasts an insanely popular and large community. The site receives more than 100 million visitors a month. According to Alexa, it’s the 50th most popular site in the US and ranks in the top 100 globally. But what sets Quora apart is the kind of people who use the site. Most of its users are from India and the United States. While the age range is varied, the most active Quora users are in the 18-34 demographic and have a post-graduate education. 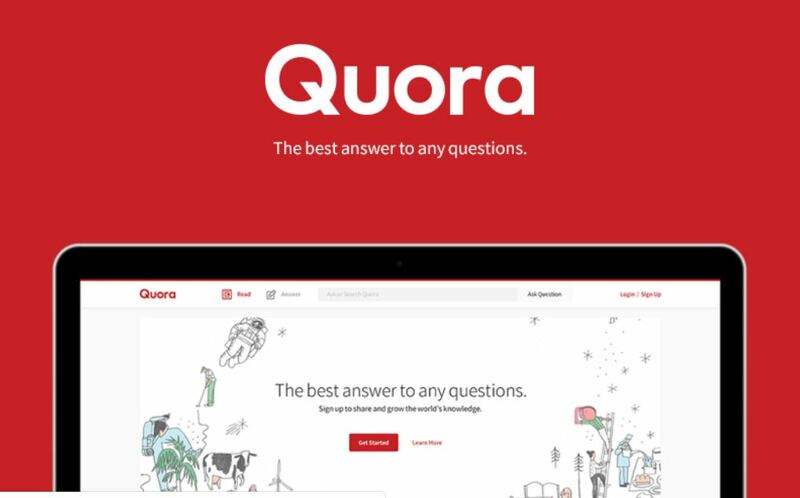 Quora is a great platform for marketers and business owners like you. For one, you can use the site to build your personal brand. However, there are other reasons why you should take advantage of this platform. One of the benefits of using Quora is how you can drive traffic to your website through the answers you post. More importantly, posts that were written months or years ago can still generate traffic. After all, people are always looking for information. Plus, if they like your answer and “upvotes” it, your post will appear in that user’s feed for all their friends and followers to see, resulting in more traffic to your site and sign-ups to your email list. The more relevant and well-received your posts are on Quora, the more people will see you as an authority on the subject. The site ranks writers based on the number of views their answers receive. You can also be awarded topic badges that members can see. Appearing on the best writers list and earning badges will have people respecting your expertise. Once you’re considered an authority on the topic, more people would be interested in what you have to say, whether it’s on the site or on your blog. A lot of major publications are turning to Quora for content and are publishing choice answers on their websites. Some of the platform’s top writers have already been quoted or featured in sites like Business Insider, Forbes, and The Huffington Post. You want your profile description to establish credibility and trust since this is the first thing users will see. Make sure they’ll like what they read. Be sincere, friendly and polite. Proofread your profile before posting it. It’s hard to trust someone’s professionalism if they make mistakes with their spelling and grammar. Look for relevant questions and answer them. Select questions that are relevant to your niche and will provide you with the right exposure. Once you have picked a question to answer, check how popular or high it is on the feed and how many followers it has. More followers mean a larger audience will read your post. Think of your posts as content, so make sure they are useful, relevant, and unique. Don’t get too technical, unless the subject calls for it. Make sure you attribute your quotes correct and try to include images. Don’t go overboard with blog promotion. Quora likes writers who provide value. This means that useful posts are the right way to go. You can include a link to your blog post if you want but it has to feel natural. Answering a question with just a link to your blog is a sure-fire way of getting yourself banned from the site. Your content becomes more visible the more you ask questions or post an answer. A consistent presence on Quora will make members curious about you, maybe enough that they would check out your blog or site. Quora is a great place to hang out, learn new things, and even meet new people. More importantly, the platform can be another source of traffic to your site. However, simple answers won’t cut it here. You have to put effort into your replies, build your reputation and engage other users. But the results will definitely be worth it.